After suffering a gut-wrenching betrayal, Kinzie wants nothing more than to get away from the world and focus on herself. With her dog in tow, she begins a soul-searching hike, but her respite from the world is short-lived when she meets the man that would change her world in more ways than one. 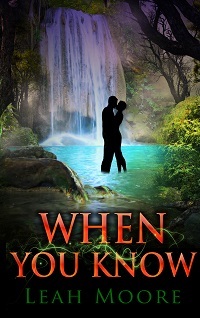 Zander wasn’t looking for love, but the moment he laid eyes on the somber beauty, he knew she was the one for him, but he has a secret – one that must never be revealed. Due to his desire to keep her close, Kinzie stumbles upon something she shouldn’t, and now, she must pay the price for his mistake. She went in search of self, found someone to love, and now, it could all be taken away from her. How far is Zander willing to go to ensure her safety and keep her in his life forever?